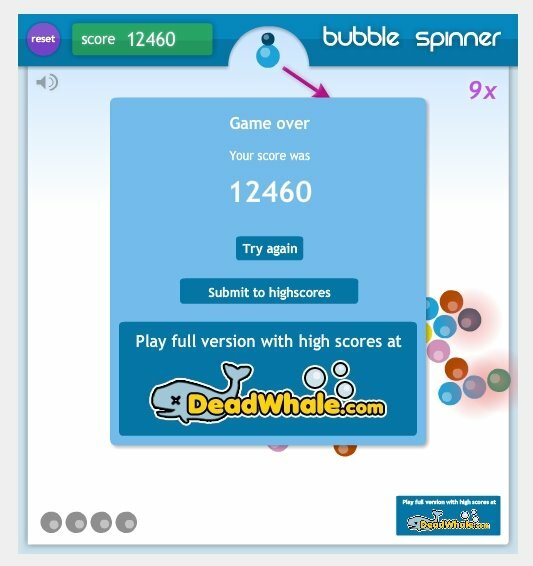 I have absolutely no reason to play Bubble Spinner any more after this high score (ooh, that rhymes!). Unless, of course, Trevor finds some way to beat this one. This entry was posted in bubble spinner, challenge by shortcakescraps. Bookmark the permalink.